Save the date for the annual 4th of July Parade! Join your neighbors for a National Night Out Block Party on 200 S Dorothy from 6-8 on October 2nd! 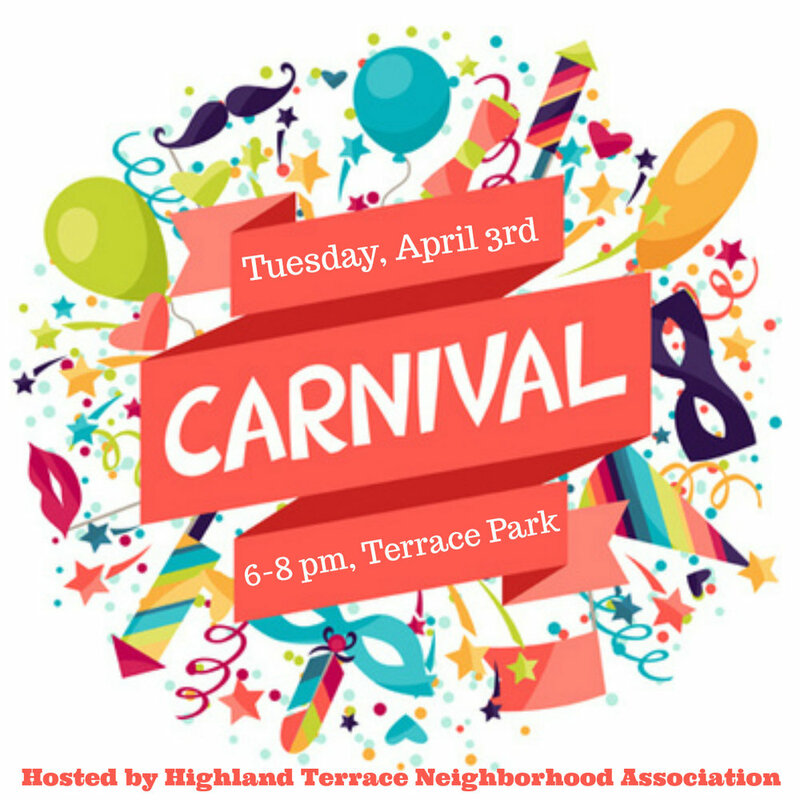 We'll have food trucks, face painting, balloon animals, and more! Join us for our Annual 4th of July Parade and Watermelon Picnic! Join us for a neighborhood Easter Egg Hunt at Terrace Park! Bring a basket to collect all your goodies in! Join us for a neighborhood block party in honor of National Night Out! It's a great way to meet neighbors and become more invested in the neighborhood you live in! We'll have food trucks, bounce houses, face painting and more! We'll have a designated area for the littlest kids! Don't forget to bring some canned goods to donate to The Network! Nosh Box Eatery (won BEST food truck in Texas this year and is all farm to table foods!) and NVN Burgers will be joining us this year! Join us for a Neighborhood Pool Party at Terrace Pool! Come meet your neighbors and enjoy some fun in the sun! Pizza will be served!! **Note - HTNA will not provide cost of entry/admission to the pool. If you're looking for ways to meet other parents in our neighborhood, join us for a morning play date (weather permitting) on December 6th at Terrace Park at 10 am.